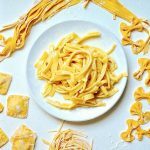 The best thing about this vegan fresh pumpkin pasta dough is how easy it is to make. This golden dough is extremely versatile and tastes just like its egg based counterpart. 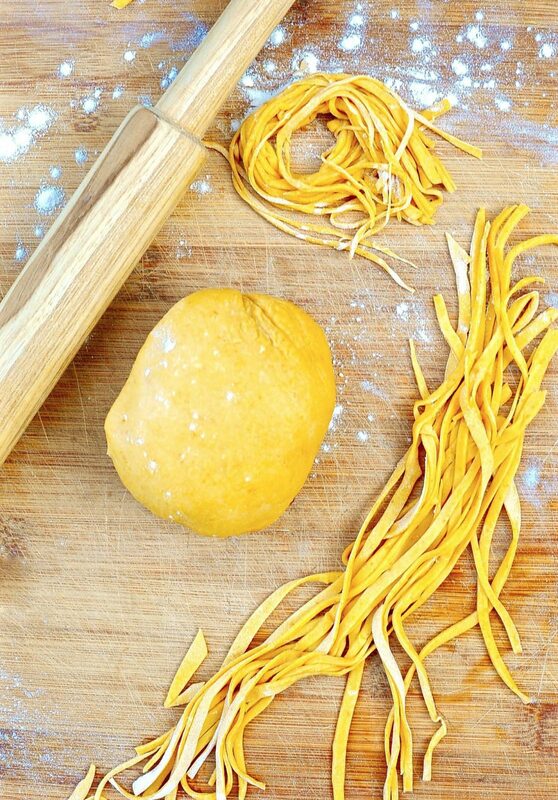 Nothing compares to the texture of fresh pasta. 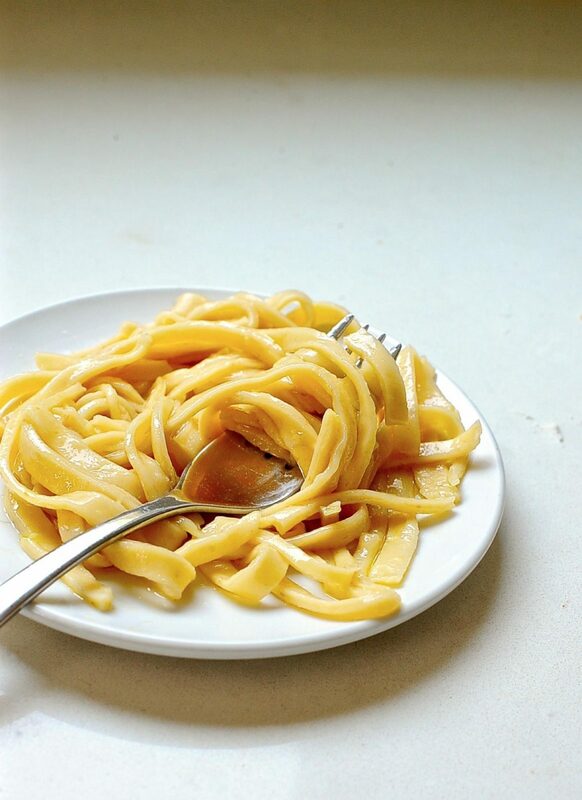 I guarantee you will feel a rare level of satisfaction and pride when you place a dish of homemade pasta on the table. Did I mention that it is so easy a 6 year old could make it? Don’t worry I won’t tell. This week we are sifting though boxes of memories and clearing out my Mother’s apartment. When we cleared my Aunt’s house in Denmark three years ago I found a letter I had written to her in August 1992. A time capsule of love and dreams and proof I have always been an odd duck. Since it mentions Pumpkin at the very end I thought I could slip it into this post. Feel free to skip to the recipe. Today was sunny, heavy; the light seemed to wash me more thoroughly than all those thunder storm showers. Somehow it was pouring autumn. The moon slept in the sky until noon. The cats played dead all day long. I poked them every hour or two to check. They are trying to lull me into a false sense of security. I had better watch my back. Plots and coups are resting on this hazy dusk. Maybe I just need something particularly salty smothered with Louisiana Hot Sauce. When I grow up I’m going to have a garden, salad at my back door. Radishes, bitters, sweet peas, basil, sunflowers and a forest of greens. Earthy carrots and heavy tomatoes. I do go on. One of my sons will be a fisherman and lay shrimp and mussels at my back door. My dearest, my key will lie under the pumpkin vines, just slip in and brew yourself some coffee. Indeed I have a son. Indeed I have a garden with “heavy tomatoes” and “salad at my back door”. 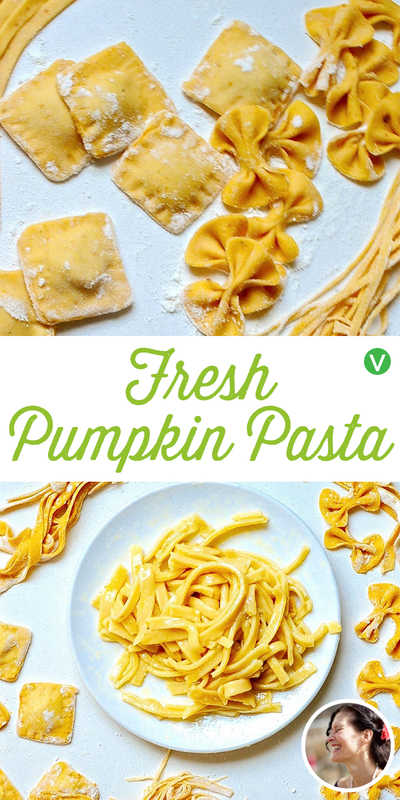 If you love this vegan Fresh Pumpkin Pasta Dough then you can experiment with other flavors. 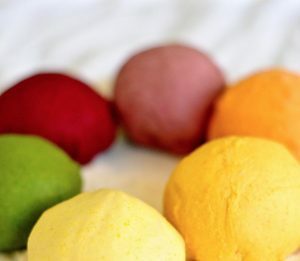 If you like playing with pasta check out my recipe for naturally colored Ravioli dough. 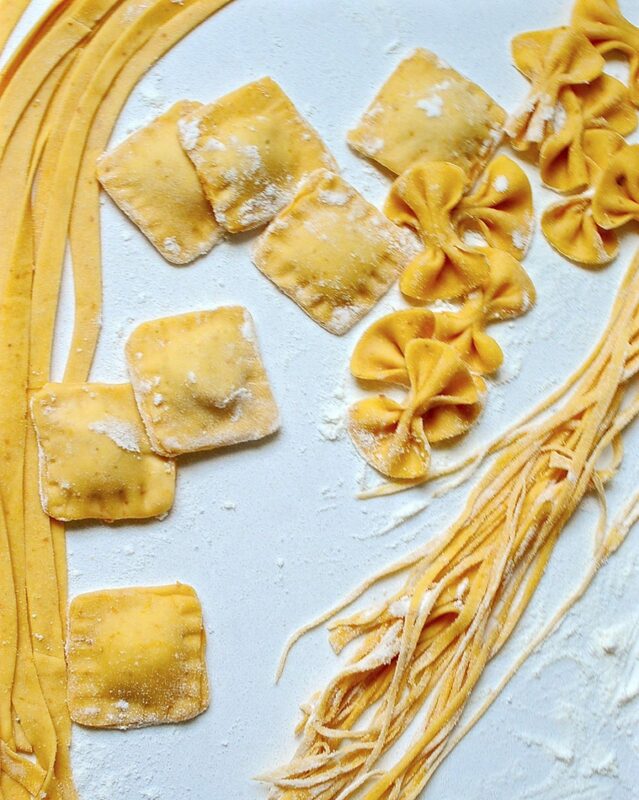 Fresh Pumpkin Pasta dough comes together in 5 minutes and cooks up in a snap. This pliant golden dough is ever so fun to play with, ahem, I meant cook with. Place your pumpkin puree in your food processor with the aquafaba and blend together. Now add both your flour and salt and pulse on and off in 3 second bursts until your dough comes together. Remove from the food processor and form into a soft ball. Allow the dough to rest, covered for 15 minutes and use however you would use fresh pasta. I don't have a pasta rolling machine to make my pasta sheets paper thin. I do it like my great grandmother would have (were she Italian); patience, elbow grease and a rolling pin. I cut off a piece of dough, roll it out on a lightly floured surface into a rough rectangle and hand cut it with a knife into long strips. I dry these for 15-20 minutes and then toss them in simmering salted water for 4-5 minutes. Remember of course the thicker you roll it and cut it the longer it will take to cook. Just pay attention and take a bite to test if it is ready. How can the recipe be adapted if you have fresh pumpkin instead of canned? Linus in my favorite philosopher. I can picture your letter dropping through the slot in the door at our aunt’s house, and our uncle picking it up off the mat on his way in from his regular morning forest wandering. He would silently carry the letter to her in the big open-plan dining/living room, where she would be sitting at the big table, busy at something. He would walk up and put the letter in front of her and place his hand on her shoulder – his signature gesture of affection for her. She would reheat the coffee in the kitchen and pour herself a cup and sit back down at the big table and slit open the envelope and read the letter aloud to him as he sat in one of the comfortable chairs in the sunken living room. The letter would make them both feel warm and good. 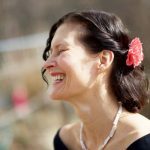 She would later stash the letter away with the dozens of other letters you had sent her through your childhood and youth, keeping her a part of your life, always. Your recipe says it takes a total of 10 minutes but it will actually take much longer with resting and drying. You say to simmer in salted water for 4-5 minutes. Does it really take that long? My experience with fresh pasta is that it cools in less than a minute-to 2 at most unless it is ravioli. Hi Carolynne, You are right about the times. Most blogs don’t include resting times in the recipe. I changed this one thanks to your feed back to reflect the resting time as well. 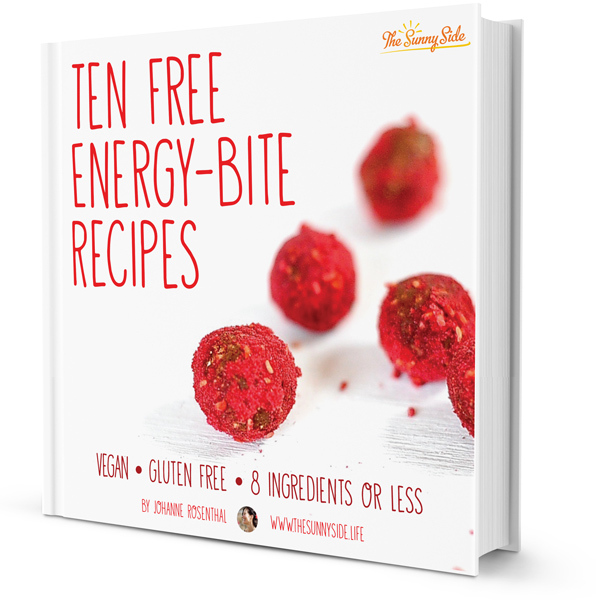 I don’t include a gluten free option on this recipe as I have not experimented with a gluten free flour on this recipe yet. If you do please let me know how it goes.